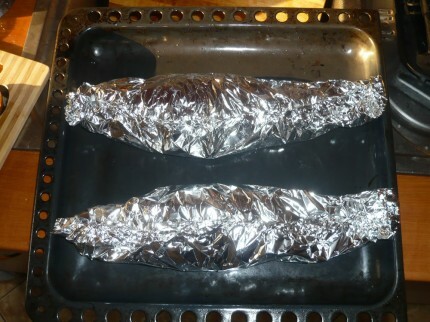 Baking fish wrapped in foil is an excellent idea, because flavors are much more intense and the meat is more tender. 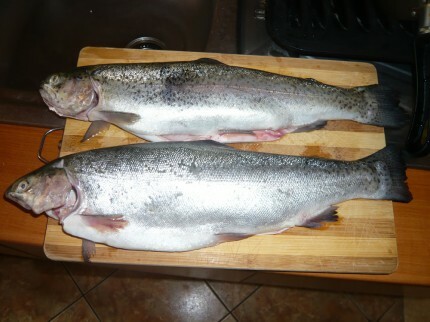 The downside, as you can see from the above photo, is the presentation, which suffers a bit. 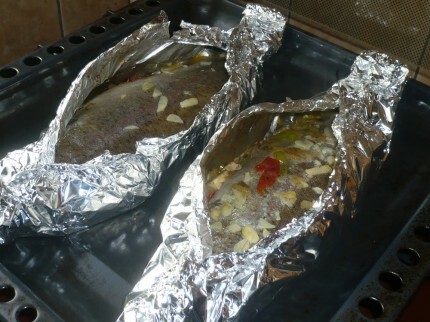 Well, to be honest, I don’t have special fish plates, that’s why I served it straight from the foil. 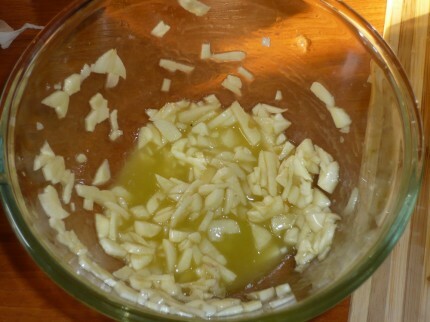 Heat two tablespoons of olive oil. 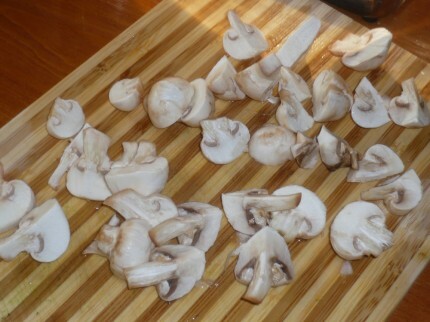 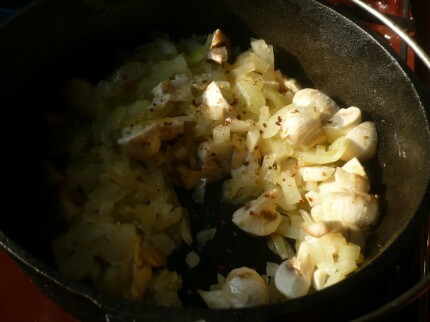 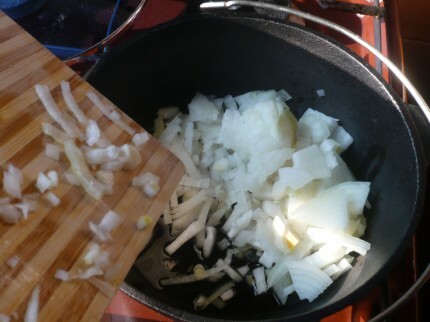 Chop one big onion and add it to the pan. 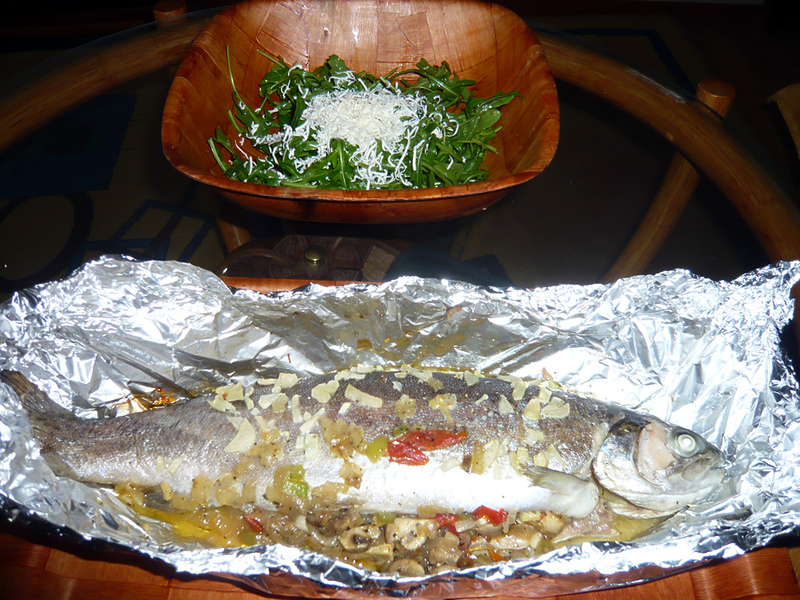 Put the fish on aluminum foils, spoon the vegetable stuffing inside them, then pour this mixture on top of the fish. 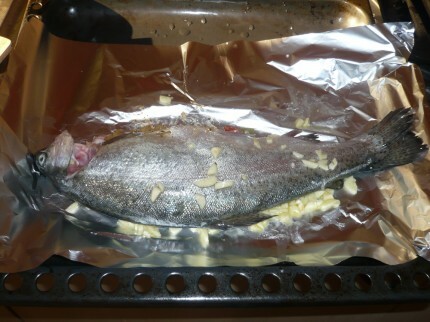 Bake the fish in the oven, over medium heat. 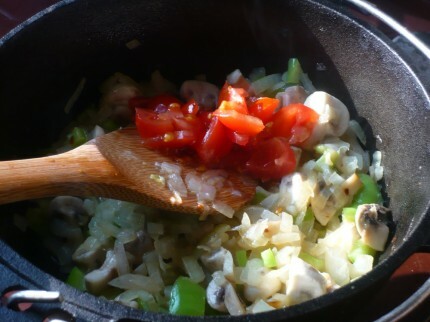 It should be done in about 45 minutes. 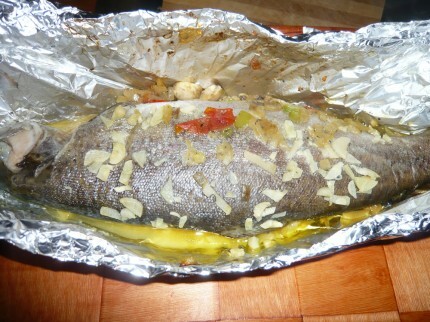 Anyway, after 40 minutes, take it out of the oven and open the wrappings, then return it to the oven and bake it for 5-10 minutes more, so it gets a kind of crust.